Are you a Pharmacist with any one of the following? 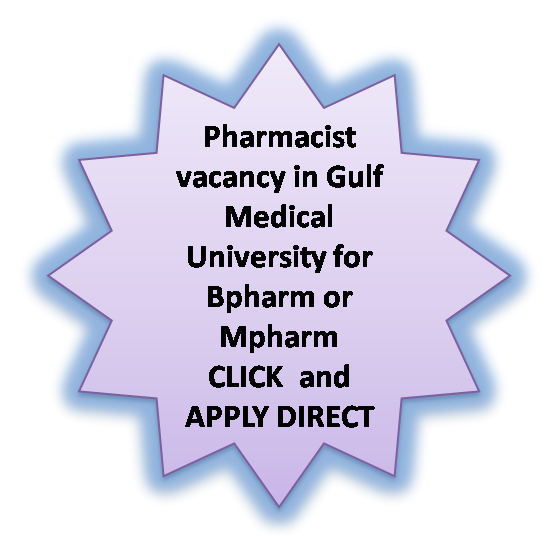 Gulf Medical University, Ajman, UAE is announced vacancies for the post of Pharmacist in Thumbay Pharmacy through their website linked to thumbay. If you are interested, please click here to know all details and APPLY DIRECT.